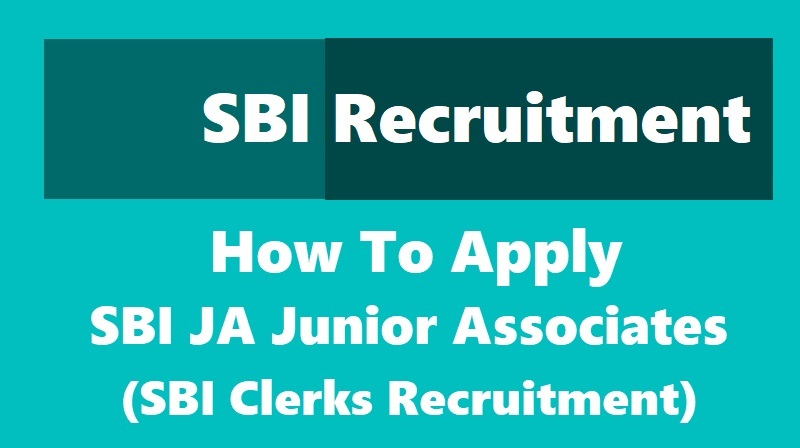 How to apply for SBI JA Junior Associates / SBI Clerks Recruitment 2019: The State Bank of India (SBI) has issued a notification for the recruitment of over 8,000 junior associates (customer support and sales) in clerical cadre. The notification, (Advertisement No. CRPD/CR/2019-20/03), can be viewed in careers’ section of the state-run bank’s website. Out of the 8,904 vacancies advertised 8653 are regular vacancies and 251 are backlog vacancies. Candidates can apply for vacancies in only one state. Candidates will have to take an online preliminary exam and the main exam followed by the local language test. Preliminary exam: The preliminary exam will be of one-hour duration, carrying 100 marks and divided into three sections: English language (30 marks), numerical ability (35 marks) and reasoning ability (35 marks). Candidates will get 20 minutes for each section. The preliminary exam is of qualifying nature. The number of candidates selected for the main exam will be approximately 10 times the number of vacancy in that category. Main exam: The two-hour main exam will carry 200 marks and will be divided into four sections: General and financial awareness (50 marks) General English (40 marks), quantitative aptitude (50 marks) and reasoning ability and computer aptitude (60 marks). Candidates will get 35 minutes each for general and financial awareness and general English and 45 minutes each for quantitative aptitude and reasoning ability section. Marks obtained in the main exam will only be considered for making the provisional selection list. Candidates, who produce the necessary certificate proving they studied the specified local language, will not have to undergo the language test otherwise compulsory for others. Candidates applying for the job should not be below 20 years and not above 28 years as on January 1, 2019. Candidates can apply for the job through the window provided on SBI’s career page. Before filling the online application form, read the important points. responsible for any consequences arising out of furnishing of incorrect and incomplete details in the application or omission to provide the required details in the application form. Note: Visit SBI’s career page regularly for latest news and updates on the exam.